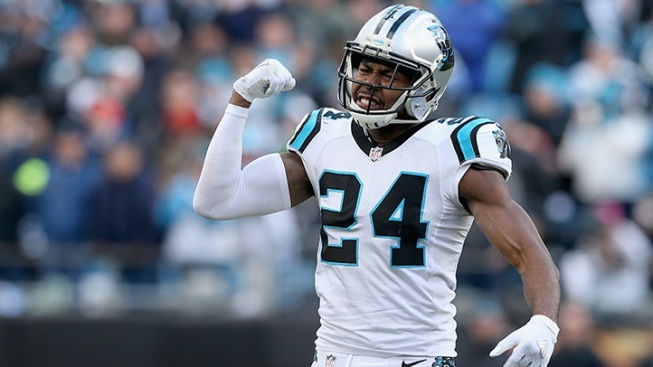 The Washington Redskins announced they signed unrestricted free agent cornerback Josh Norman. NFL Network's Ian Rapoport reported the deal is for five years, $75 million and $50 million in guarantees. The fifth-year corner is considered one of the best in the league. He had career-highs with four interceptions three forced fumbles, and two fumbles recovered in addition to tying for the league lead in interceptions return for touchdowns with two last season for the NFC champion Carolina Panthers. He was named as an All-Pro by the Associated Press and Pro Football Writers Association. He shared Most Improved Player of the Year honors with Redskins quarterback Kirk Cousins. Norman became a free agent Wednesday after the Panthers rescinded the franchise tag, which would have paid him $13.9 million next season. The 28-year-old was holding out for a long-term contract. He posted the hashtag "Hail" with several emojis on his verified Twitter account to announce he'd picked the Redskins over other suitors, and several new teammates congratulated him and welcomed him to Washington. Norman’s mother was part of his entourage when he visited Redskins Park in Ashburn, Virginia, Friday, according to multiple reports. Redskins safety Duke Ihenacho, who wears No. 24 just like Norman, tweeted his desire to play alongside Norman Thursday.